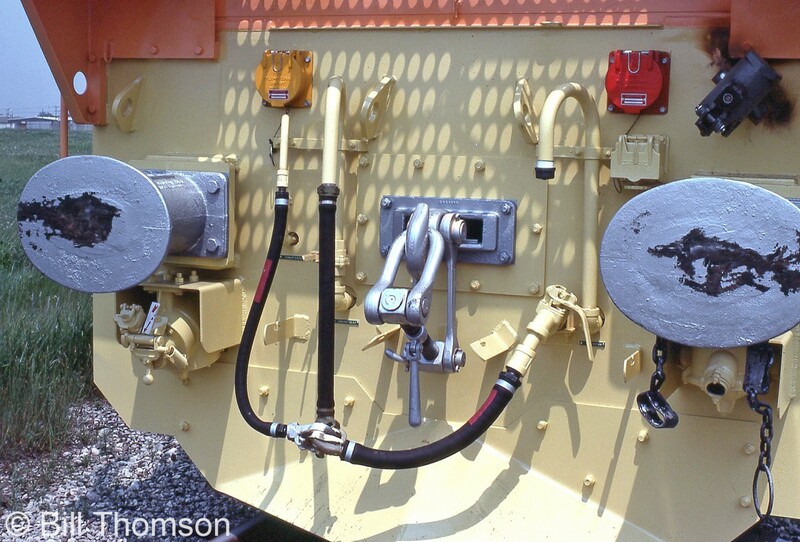 Railpictures.ca - Bill Thomson Photo: Here’s a close up view of the buffer and chain coupler arrangement on the rear of the SNTF Algeria unit 060DG5 (EMD model GT26CW) from before, pictured on the test tracks at the GMD London plant. | Railpictures.ca – Canadian Railway Photography – photographie ferroviaire Canadienne. Caption: Here's a close up view of the buffer and chain coupler arrangement on the rear of the SNTF Algeria unit 060DG5 (EMD model GT26CW) from before, pictured on the test tracks at the GMD London plant. I wonder how the cars still stay coupled with this arrangement. But still thanks for posting these pictures.